During the spring and summer months, I love hanging plants on my porch. It just gives it such a beautiful look and it’s a great way to keep my more sensitive plants where I can keep an eye on them. 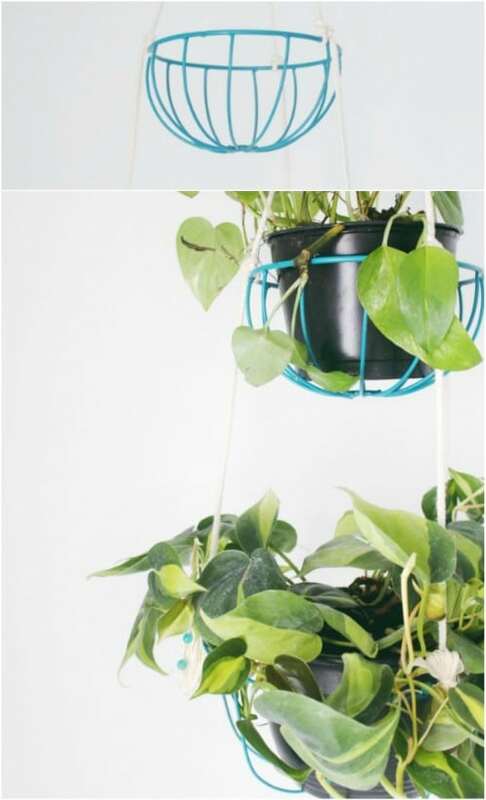 If you love hanging plants but you just don’t want to spend the money on a store bought plant hanger, I have a great little treat for you. 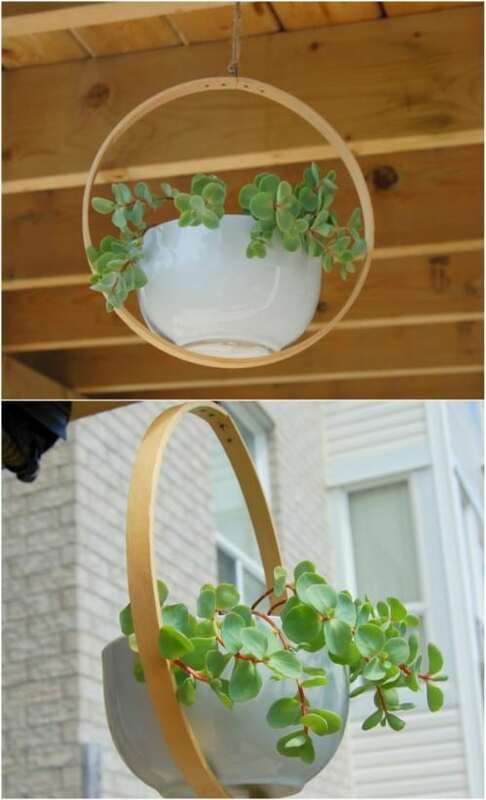 I have found 20 DIY hanging planters that are all really cheap and really easy to make. You can add these to the porch or hang them all over your home’s interior to add color and style to any room. Plant hangers are not at all difficult to make and you just won’t believe the things that you can upcycled and repurpose to make them. From old bird cages to emptied out coconuts, you will find the perfect hanging planter to give your home whatever look you want it to have. Hanging plants inside your home not only adds to the beauty, but it is really healthy to have those growing plants indoors – for you and your family. And, these are all so easy that you are going to want to make them all! You should also take a look at these 20 DIY planters made from tree stumps. They will definitely help you to brighten up your yard. You really don’t have to spend a fortune or work yourself into a frenzy to get a beautiful home and garden. With just a couple of hours worth of time and maybe a few dollars, you can create the most gorgeous DIY hanging planters that will give your home and porch such color and design! If you really want to brighten up your home and garden this spring and summer, you just have to check these hanging planters out. And, take a look at these 40 easy DIY one day lawn and garden projects that will add even more beauty to your outdoor living spaces. If you want something super cheap and super easy, this hanging planter is it. You can make this with an inexpensive planter from Target, Walmart or the Dollar Store and then just add your rope for hanging. It takes just a few minutes to put this one together and if you wanted to customize it a bit more, you could paint the planters any color that you need to match your existing décor. You can find these neat old bird cages at thrift stores and they are really inexpensive. Don’t worry if they have dents or are slightly marred or broken, that just adds to the rustic charm. 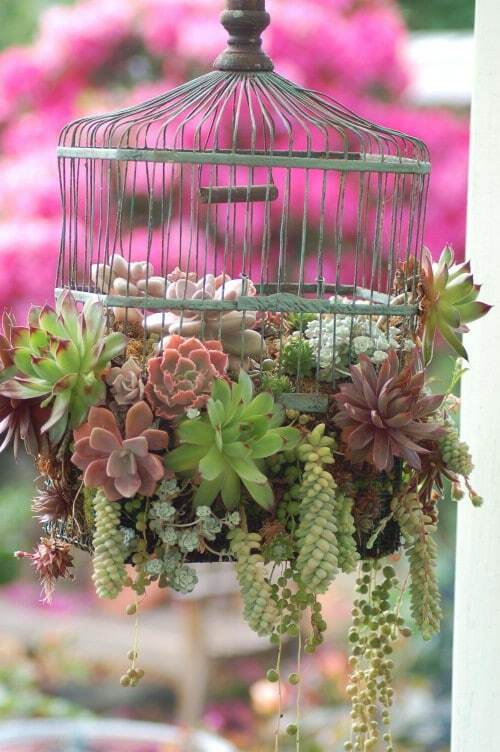 Once you have the bird cage, just fill it with your favorite plants and hang it with string, twine, or rope. This is a wonderful way to get a rustic looking planter that is perfect for hanging indoors or out. This is such a creative DIY spring porch decorating idea! I love fresh coconut but I never know what to do with the shells…aside from simply throwing them out. Here is a much better idea. 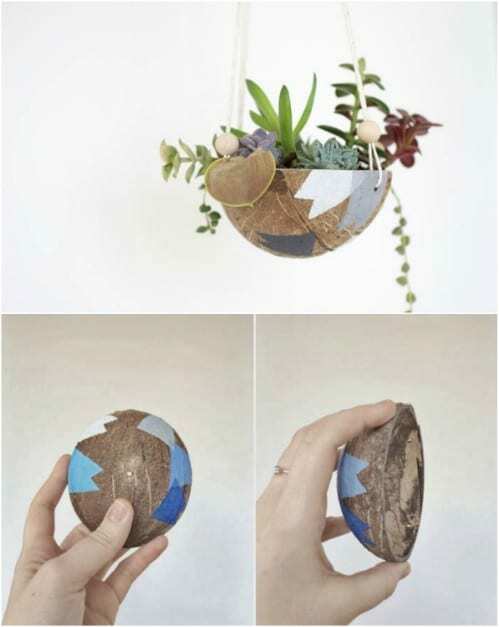 Turn that empty coconut shell into a planter! You can make two planters with just one coconut. These are perfect for planting succulents or you could add a small house flower to them. If you are looking for a great coastal look, coconuts are the perfect hanging planters. Just $10 worth of materials give you all you need to create a beautiful hanging planter. You just need a pot, some rope or twine and a few decorative beads to make this one. It is super easy and only takes a few minutes to finish. 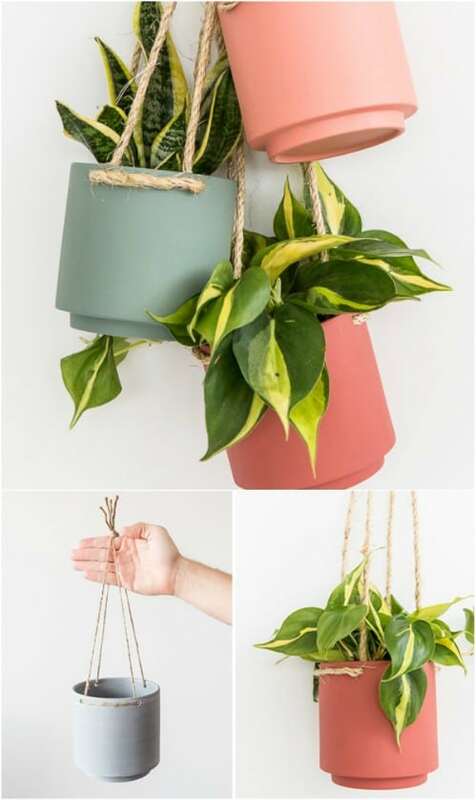 These make wonderful gifts if you know anyone who loves hanging plants and they can be hung indoors or on the porch or deck to add some beautiful greenery. Take any ordinary hanging planter and turn it into something spectacular with just a few supplies and a couple of minutes of your time. This one is so beautiful and so easy to do. 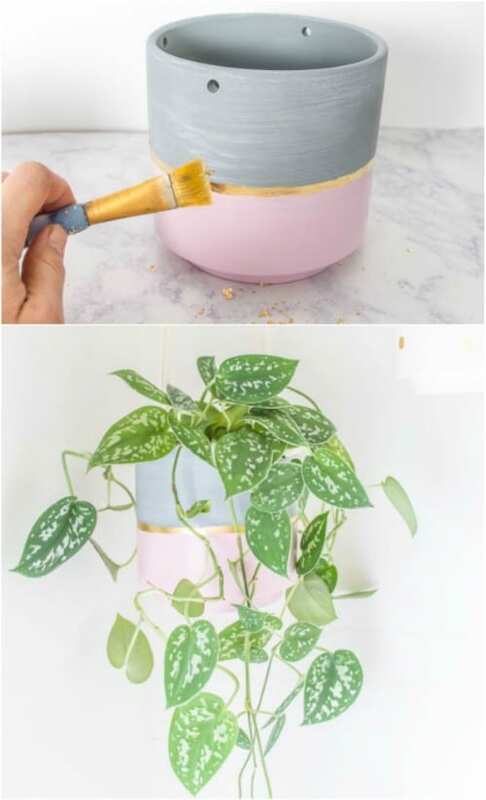 You need a plain planter and then some paint or other embellishments to make it great. You could do any design or color scheme that you want to match your other décor. 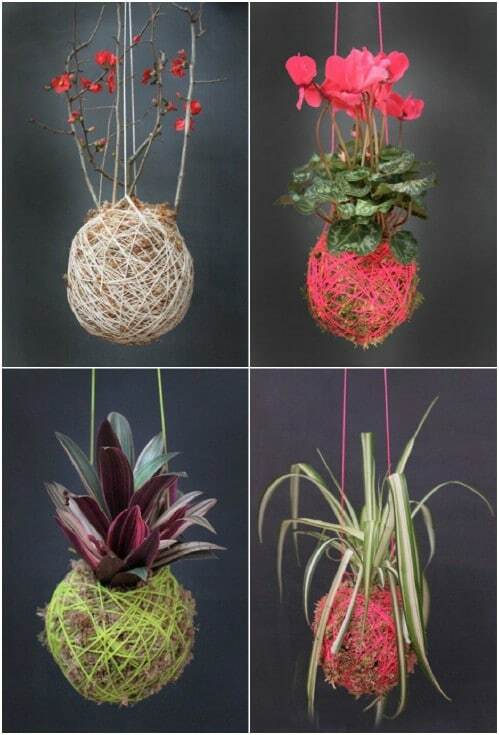 You don’t necessarily have to have rope or twine to enjoy gorgeous hanging planters. 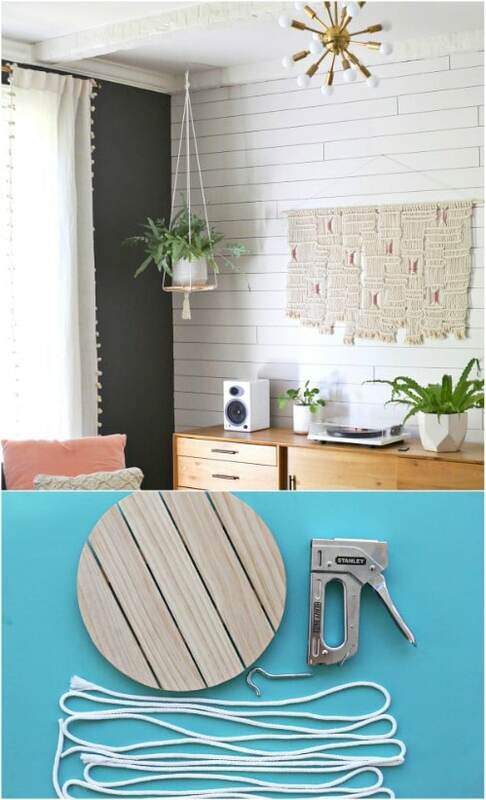 These wooden wall planters are really easy to make and inexpensive and they hang right on your walls. These are great for succulents or you could make them a big bigger and put larger plants in them. Hang them inside the house or on your porch or deck. Hang this near your DIY succulent garden to stretch out your space. This lovely Umbra pleated dish is perfect for creating a DIY hanging planter. You can use any dish that you have on hand – a terra cotta pot would even work for this one. You just create the hanger from rope or twine and then attach it to the ceiling of your home or on your porch or covered deck. A hanging planter doesn’t necessarily have to hold succulents or other house plants. You can create a lovely hanging water garden that gives you the greenery that you want and adds a really unique look to a room. An upcycled fish bowl is perfect for this and you can add any water plant that you want. Rocks and other embellishments give it a really pretty look and this one can be put together in about five minutes. 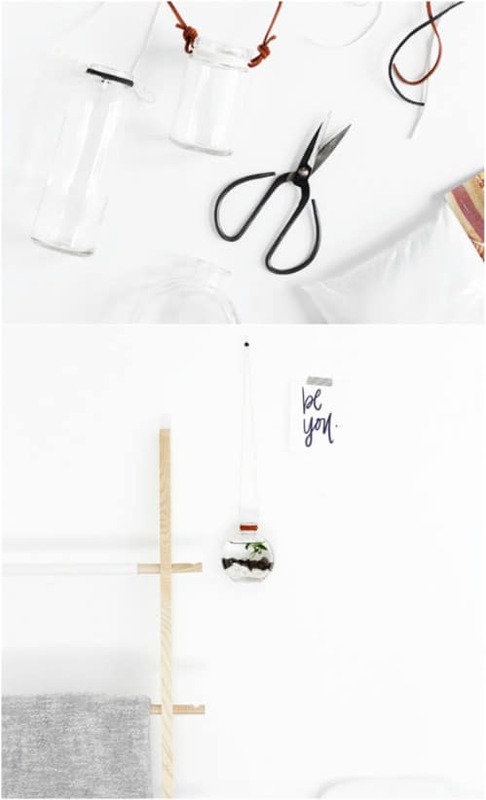 A couple of wire planters in different sizes and some paint are just about all you need to create these lovely DIY hanging tiered planters. You could add as many tiers as you want if you have the wire baskets on hand. You can paint them in any number of colors and even add beads and other embellishments to give them a really unique look. This one is so easy and is perfect if you have several plants that you want to hang. A hanging flower ball is a beautiful way to add some color to any room of your home. This one is made with pansies and it is super easy to put together. You don’t even see the planter. You just see a gorgeous ball of flowers that you can hang anywhere in the home or outside. 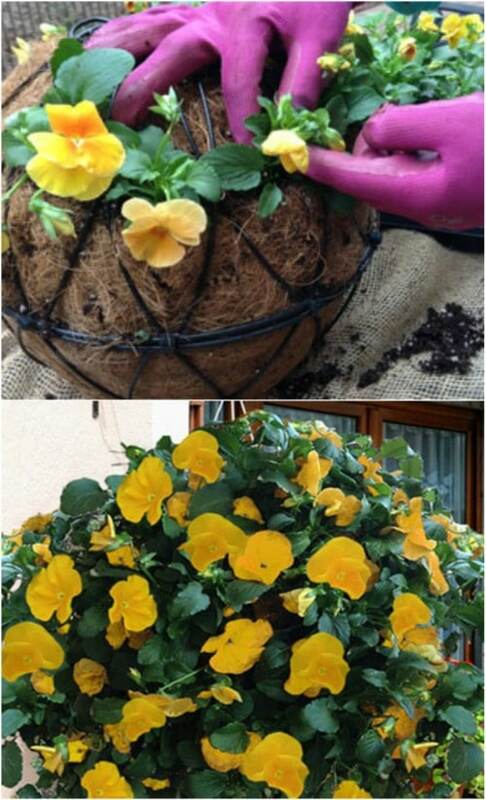 You make this one with two cheap hanging basket planters and put them together to form a ball. I love this repurposed embroidery hoop planter. You can make one of these with any size of embroidery hoop that you have on hand, as long as your planter or dish fits inside. 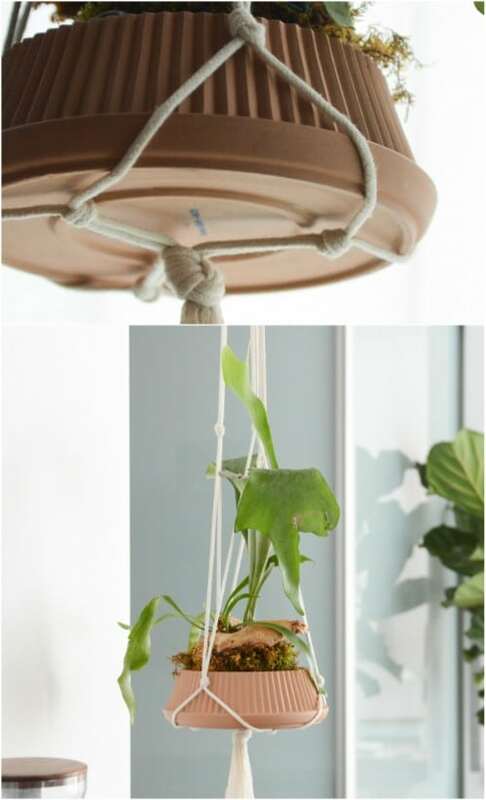 This is such a unique hanging planter and it is really simple to make. If you have some old dishes that you want to repurpose, you can use those and make this a completely repurposed planter project. This DIY hanging planter is made with a wooden plate or saucer and it has a lovely rustic look to it. If you don’t have a wooden plate that you can use, you can easily make one yourself if you have the right tools on hand. Then you just have to choose what you want to hang it with – rope, twine, etc. – and add your planter to the wooden disc. That old tire that you have out in the backyard would make a lovely planter. There are so many ways that you can upcycle old tires and this one is one of my favorites. 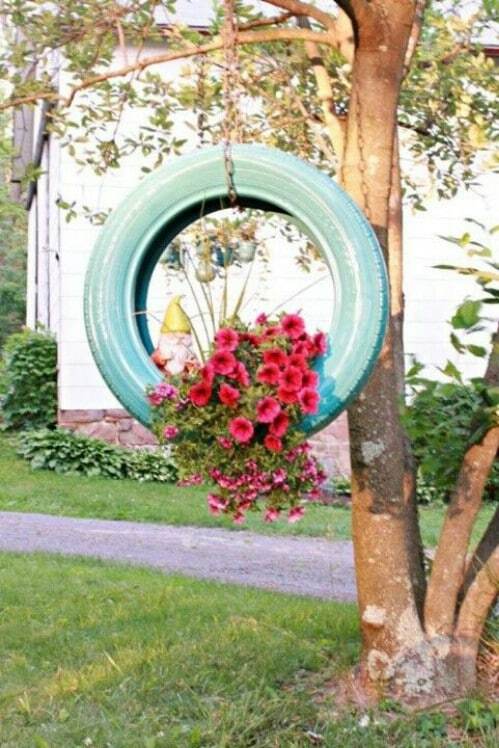 You just hang the tire from a tree and add your plant – well, there is a bit more work than that involved but it is a really easy project and so creative. Remember doing macramé at summer camp? I always loved macramé projects. 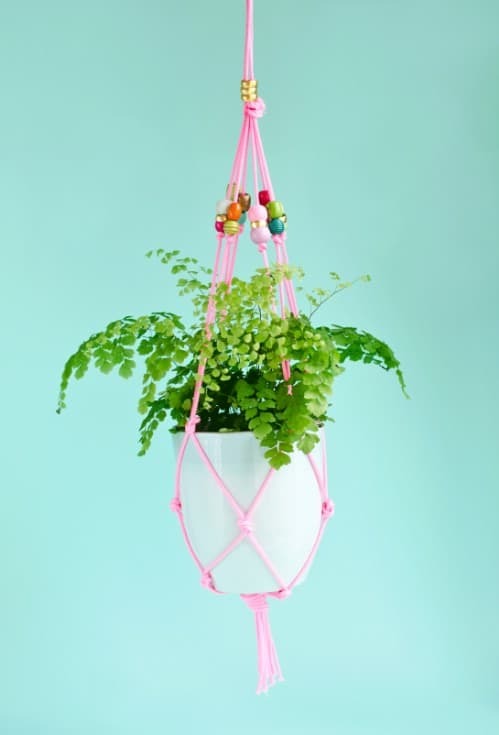 The craft is so easy to pick up and you can make this lovely macramé hanging planter even if you have never done macramé in the past. It’s super easy and really cheap to make. Once you are finished, you just add your potted plant and hang! I really do love mason jar projects. This one is so simple to make and so gorgeous when it is finished. You just use an empty mason jar to create a planter and then hang it with wire or you could use twine if you prefer the farmhouse rustic look. This is a great project for succulents or smaller plants and you can hang these inside or out. Moss ball planters are so great and they are really easy to make. 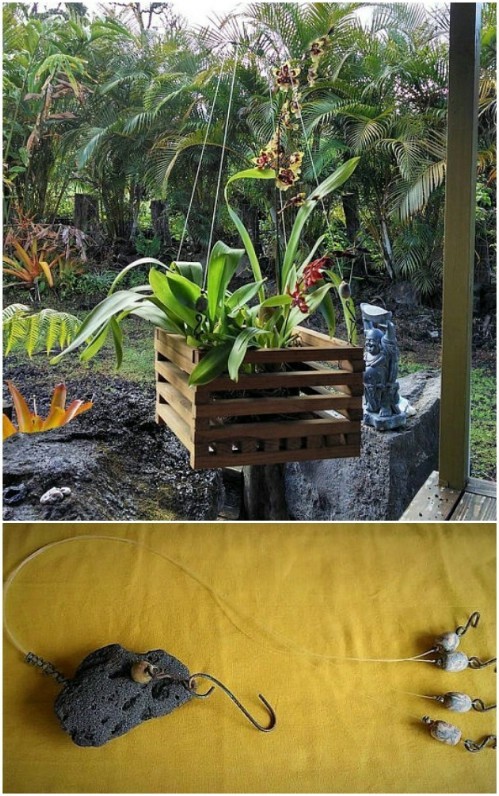 This is actually one of the easiest and least expensive DIY hanging planters that you could make. You just need soil, moss and some string to create it and of course, your chosen plant. You could do succulents with this or even small flowering plants and you can make your moss balls as small or as large as you need them to be. I really love these upside down hanging planters. They are so whimsical and look great inside your home or out on the porch. These are super easy to make and you create them with recycled materials so they are also really cheap. This is a great project for repurposing those empty coffee cans or you could use two liter bottles or even tin cans if you want them to be a bit smaller. You know those old lotion or shampoo and conditioner bottles that you throw out when they’re empty? Why not turn them into a lovely DIY hanging planter? These are so easy and because you are using empty bottles, they are also super cheap to make. You will have to cut away the bottles a bit and paint or otherwise cover them to make them decorative. 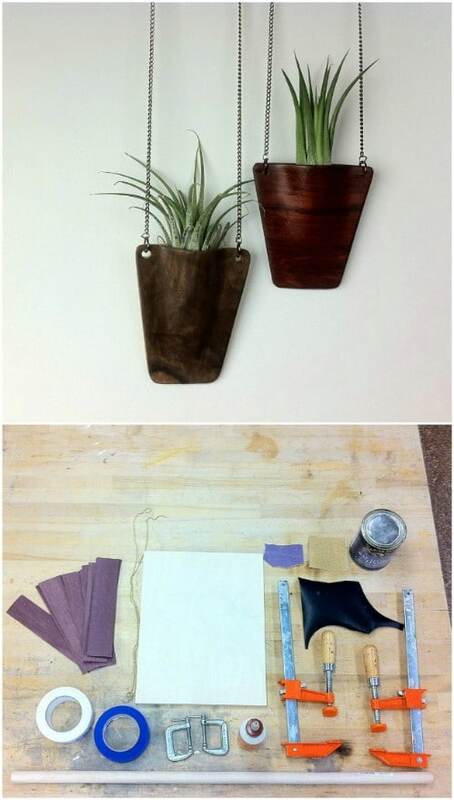 This is such an easy project, though and these hanging planters would make wonderful gifts. You can turn some lightweight wooden baskets into beautiful hanging planters. Or, you could just check out these lovely ones that I found on Etsy. They are super cheap, at less than $10 each, and once you get them, you just add your plants and hang them on the porch. You could also use these indoors and they have a wonderful rustic look that is perfect for your farmhouse decorating. 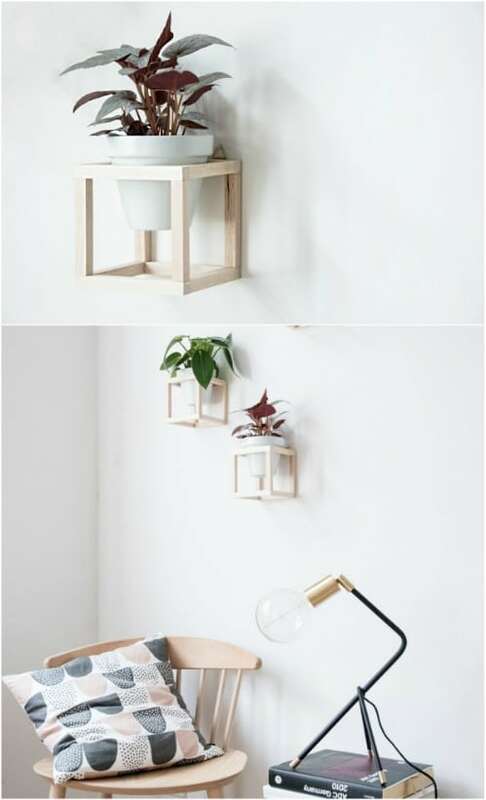 Make these lovely wooden pendant hanging planters to decorate any room in your home. They are super easy to make and have such a nice unique look to them. You can use these for smaller plants like succulents or any small house plant that doesn’t need a lot of room to grow. This is the perfect way to add some color to your home and you just won’t believe how easy they are to make. Wonderful! I live with my daughter and have no shelf space. I can do these! They are simple enough and cheap enough for even me! Thank you! Thank you!